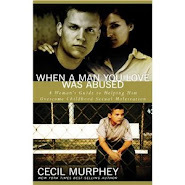 A victim of sexual abuse often is held captive by a myriad of negative reactions that, left unchanged, can ruin his life. * actual guilt (because the victim believes that his behavior, manner of dress, body language, or spoken comments may have contributed to his victimization). · —excerpted by permission from Shhh . . . Don't Say a Word About This! by Dr. Loren Due, (Dr. Due Books, 2009), page 11. Too often in sexual abuse, the roles reverse and the abused is considered the guilty party, while the abuser blames the victim. One reason for this ambiguity is that people who exhibit perverted behavior do not necessarily become perpetrators by choice but because of being victimized in the past. I cannot stress enough the following statement on this absolute truth: The abused is never the reason for the abuse, no matter how much the abuser blames the victim. —excerpted by permission from Shhh . . . Don't Say a Word About This! by Dr. Loren Due, (Dr. Due Books, 2009), page 10. I've always wondered why the victim feels responsible for the damage done by sexual abuse. I felt responsible because I had no control over my innocence being taken from me. It wasn’t something I gave up freely. 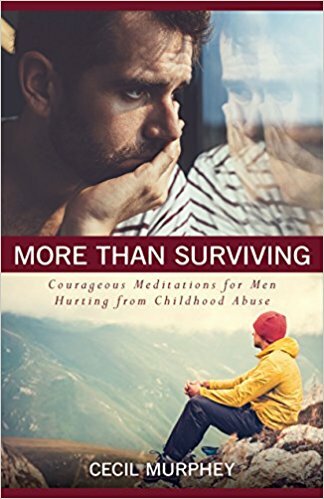 In my own story and in the stories I know of other men who have been sexually abused, the guilt seems to come from realizing we suddenly "know too much!" The guilt that I accepted kept me from talking to anyone, or realizing that there were possibly safe adults I could talk to. A key which helped me overcome my sense of guilt was to realize that I wasn’t the one who was tempted to do something that went against the laws of nature or God’s laws; something abusive was done to me. 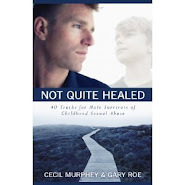 By realizing that truth in my journey of seeking healing from the damage of the abuse over the past 12 years, it’s easier and easier to believe that it wasn’t my fault and there was nothing I could have done differently. A huge defining moment, back in October 2000, was when visiting my grandfather’s grave. As I wept and spoke words of forgiveness and healing (for my benefit), I had a new ache in my heart considering the pain he had probably endured in his life, pain that very well could’ve originated from his own loss of innocence. I’ve also considered how my own abuse isn’t an excuse for actions that I’ve taken because of my own brokenness and need for healing—actions that were abusive and hurtful to others. While I’ve never sexually abused anyone, I know I’ve acted out of my own pain and I have hurt those I love the most. In spite of my lost innocence, there is healing and restoration that comes from accepting the truth that we all have hurt. The pain in our lives is that we lost our innocence, whether given or taken away. If people can still love me in spite of that, who am I to withhold love, grace, and forgiveness when I’ve been wronged? In that knowledge and strength, I find my own innocence restored because I extend grace to others. "I Just Dealt with It." The eighth young man, a recent high-school graduate, was the last prosecution witness to testify in the Jerry Sandusky trial. When questioned by the defense lawyer, he said, "I just dealt with it." Or maybe he did—the way many of us dealt with our molestation. We struggled inwardly. We tried to deny it happened. We determined not to talk about it and thus we'd forget. None of those strategies worked. So we didn't deal with it. But we tried. And too many are "just dealing with it" even now. It takes courage to speak up about our abuse and to let the world see that we were victimized by older, larger people. We didn't expect to be believed as children; why should we expect to be believed after 10 or 40 years? But some—like that 18-year-old boy and the others who have testified in the trial—have come into the open. They've told their story. And many of us believed them. I hope I never have to hear another survivor say those words. An investigator in the Jerry Sandusky trial claims he overheard those words as well as statements about being sorry. Those words didn't come from an accuser; they came from the mouth of Sandusky himself. The statements ring true. As a survivor, I believe the testimonies of the boys who have spoken against the one-time hero and humanitarian. The investigator stated Sandusky also said he was sorry, but in the news flash on CNN, there were no details. I truly hope the accused man said—and meant—those words. Why wouldn't the former coach hate himself? Why wouldn't he wish to be dead instead of facing up to his crimes? This is the day of reckoning to fit the words of Moses, who cried out, "Be sure your sin will find you out." What must it feel like to be faced with the accusing voices of several boys whose lives he ruined? No matter how self-deceptive he may be or how many lies he's told himself, why wouldn't he want to be dead? Why would he want to be publicly maligned? Sandusky's reputation is gone and he's lost fame and respect. He'll probably face civil suits as well. Who will remember the good things he did and the people he helped? Because I believe he is guilty, I also believe he deserves punishment. Despite that, I feel sorry for Sandusky—and I may be one of the few survivors who does. Like many predators, he must despise himself for the damage, self-hatred, and shame he brought to those young boys. How must it feel to be so addicted to children that he did it year after year after year? Even after authorities attempted to intervene in 1998. So he continued and everybody loses. Those boys—now adults—will probably spend the rest of their lives trying to heal. For some of those survivors, this is a long-yearned for opportunity for help. I hope Sandusky will spend his remaining years repenting over his actions. He probably does wish he were dead. I read those words in the newspaper as part of the testimony of a then-12-year-old boy who testified in the Jerry Sandusky sexual abuse trial. Since then, I've pondered those words. It's strange how it works with parents. We know those overly protective parents who believe anything their children say and become angry over the slightest injustice they suspect someone has done to their precious child. It's the other kind of family that troubles me. "Who would believe kids?" That's the cry of a child in pain, a boy who knew he wouldn't be believed and didn't have an adult to stand up for him. Why wouldn't he ask that question? His words haunt me because it's a question I might have asked. It didn't occur to me to tell an adult—any adult. I didn't feel anyone cared enough so why would I consider telling? I felt totally alone. I wonder how many molested kids have asked, "Who would believe kids?"